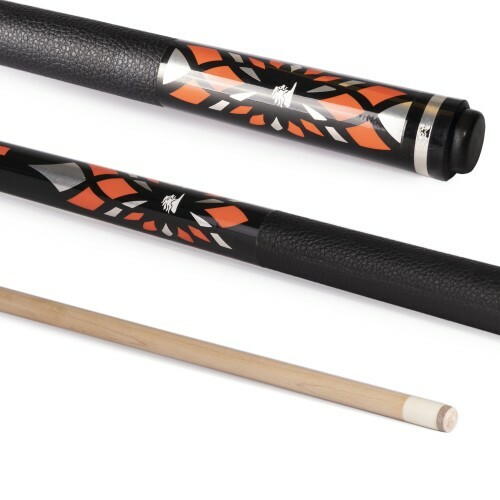 Professional Pool cue with finest selected Maple shaft and detailed inlays to decals. Top quality tip with nylon ferrules, stainless steel joints and rubber buffer. 58"